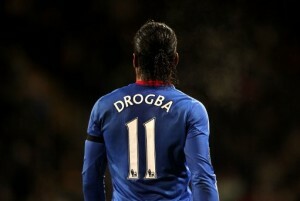 Tottenham eyeing up £10 move for Didier Drogba? I was looking through all the latest Chelsea news and rumours and noticed this one in The Telegraph this morning. The focus of the interview is of Harry Redknapp's comments that he would need just two of three high quality additions to his Spurs side that he believes, would see his side challenging for the title. One of those players is Didier Drogba and the article states that with Drogba having just one year left on his contract, a bid of around £10m could be enough to entice Chelsea to sell!. My initial reaction was "piss off!" and "no chance" but then again looking at what happened with Ballack etc when they were of the age Drogba is, you have to wonder if the club will take the money as we now have Torres. I wouldn't put it past them. The thing is, Drogba has a year left on his contract and it would be in our best interests to keep him at the club until his deal expires. Drogba could then leave on a free transfer and decide where he wants to finish his career which if he had his way would be in France with Marseille being his most likely destination. What do you people think, I mean you the football fan reading this?. If you were Chelsea would you sell for that money? and if you were Spurs would you buy Drogba knowing he only had one or maybe two seasons left at the top level?. Didier Drogba is a Chelsea legend and I am sure he would want to stay and see out his contract at the club and I am more than convinced he would be part of Ancelotti's plans for next season. The question remains if he is part of Roman Abramovich's.